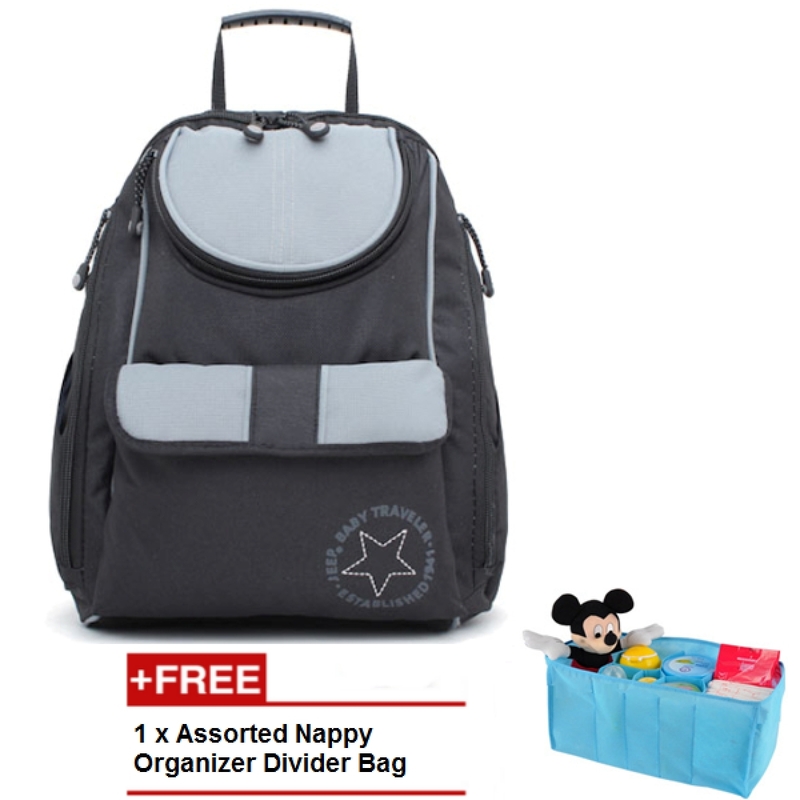 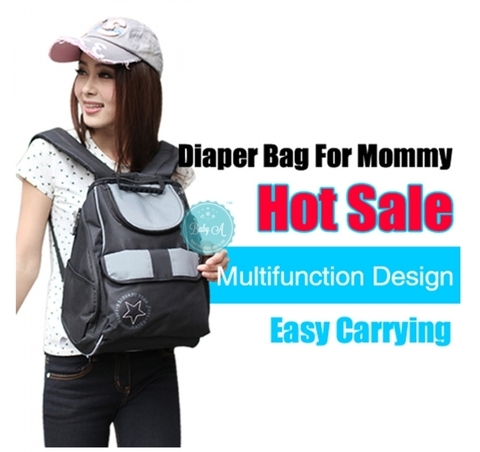 Large space inside main compartment with durable two-way metal zips, which could storage diapers, baby clothes, snacks, lunch box, bottles etc. 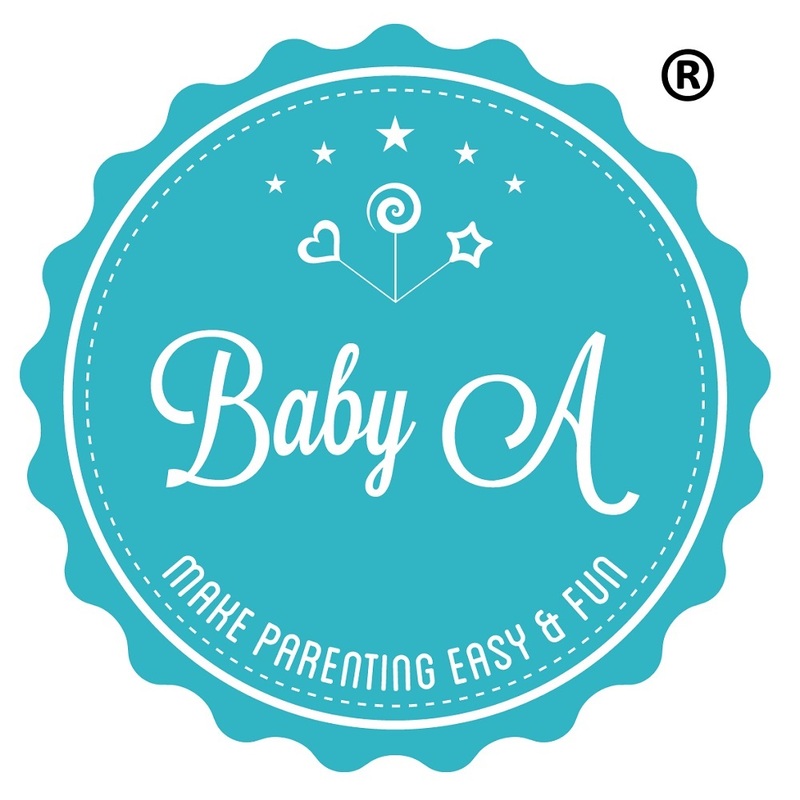 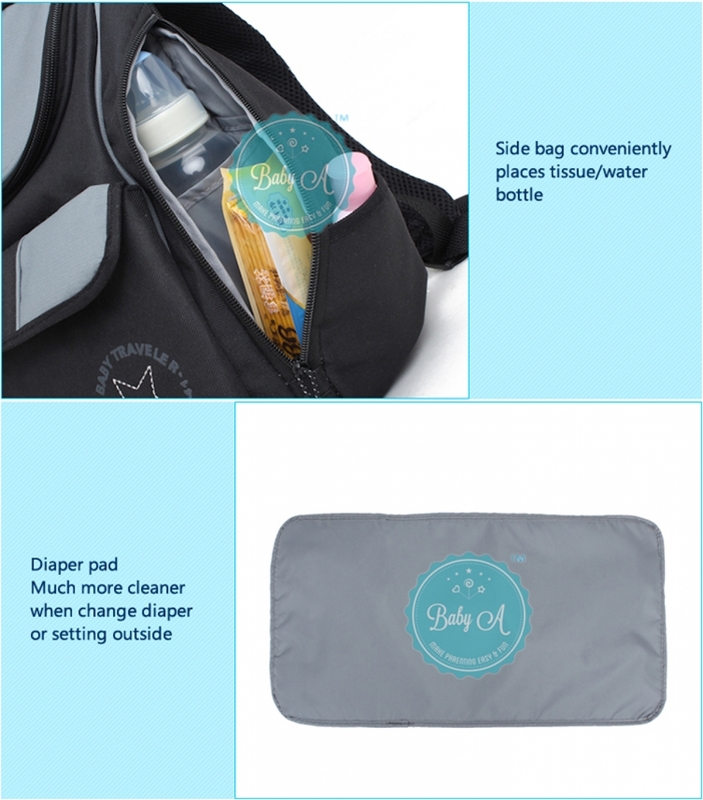 Extra-Large changing pad (FREE) and wet bag (FREE) included for baby diaper changing and to keep wet diaper separated. 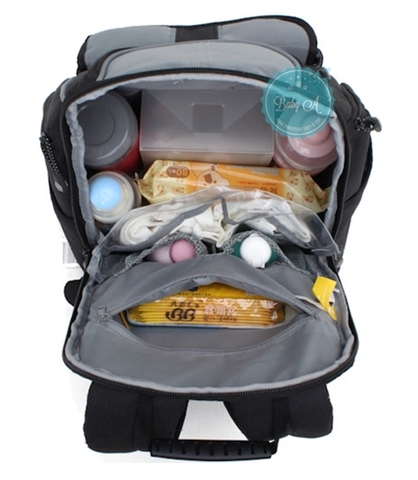 Front compartment for mom's personal organizer. 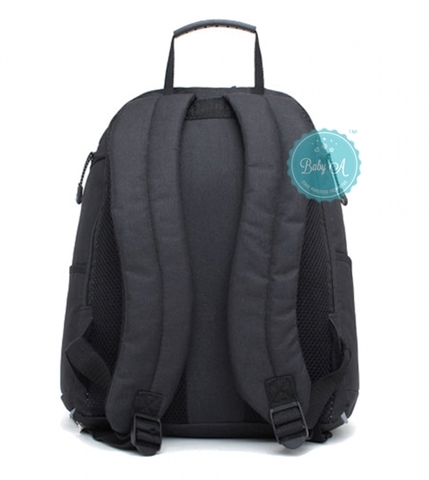 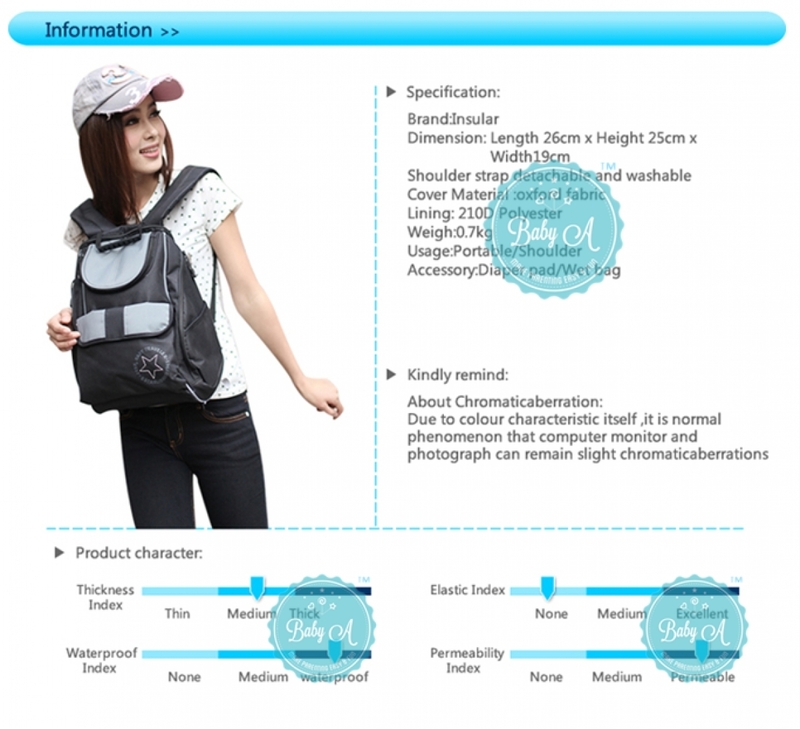 COMFORTABLE: Thick, breathable mesh padding promotes airflow between you and the backpack. 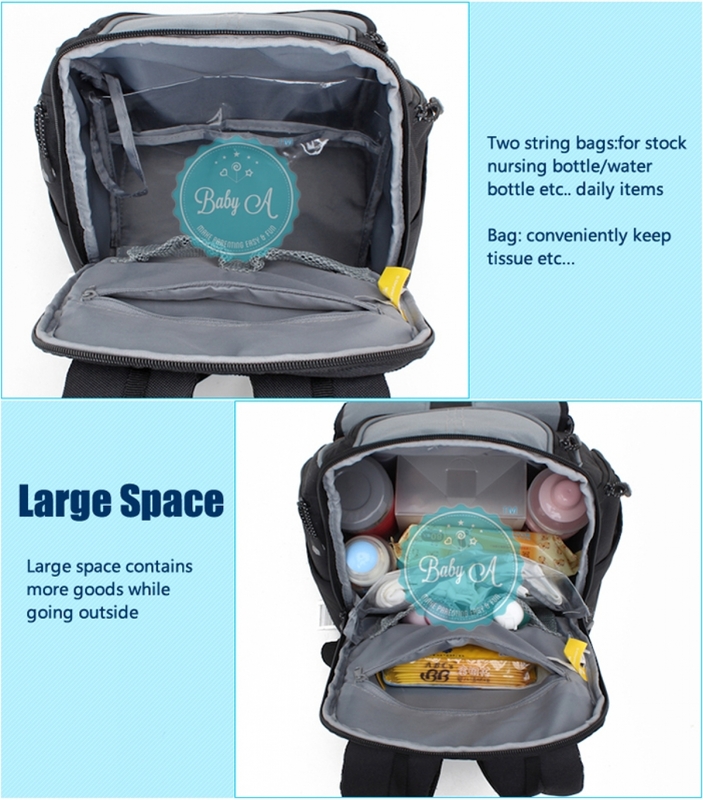 LIGHTWEIGHT: you're going to be loading up with baby gear; the last thing you need is a heavy backpack. 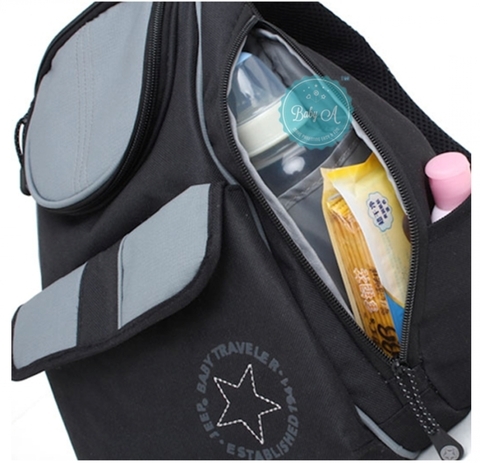 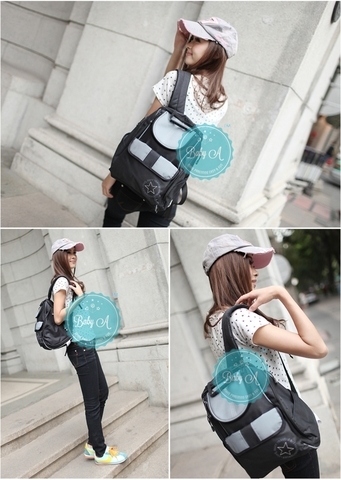 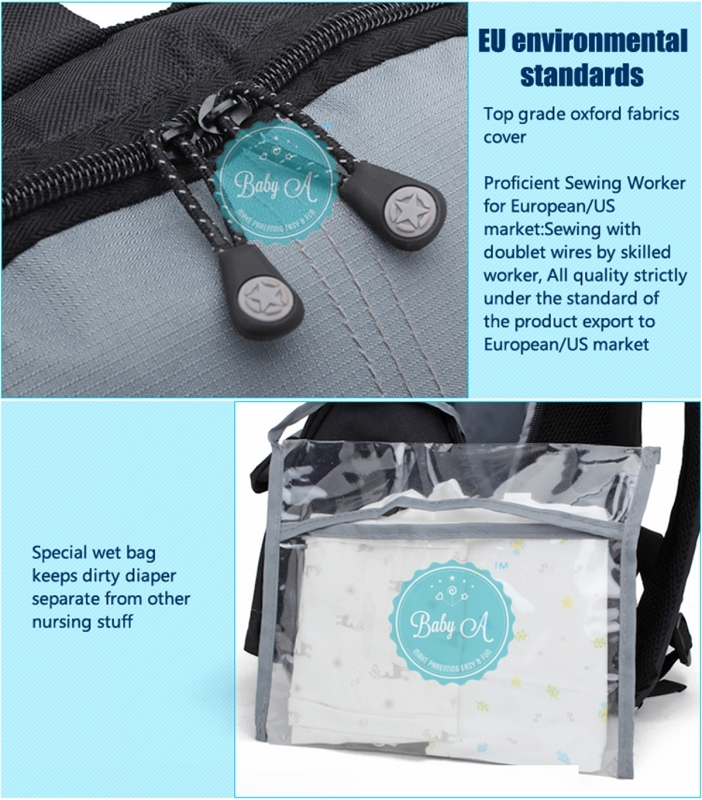 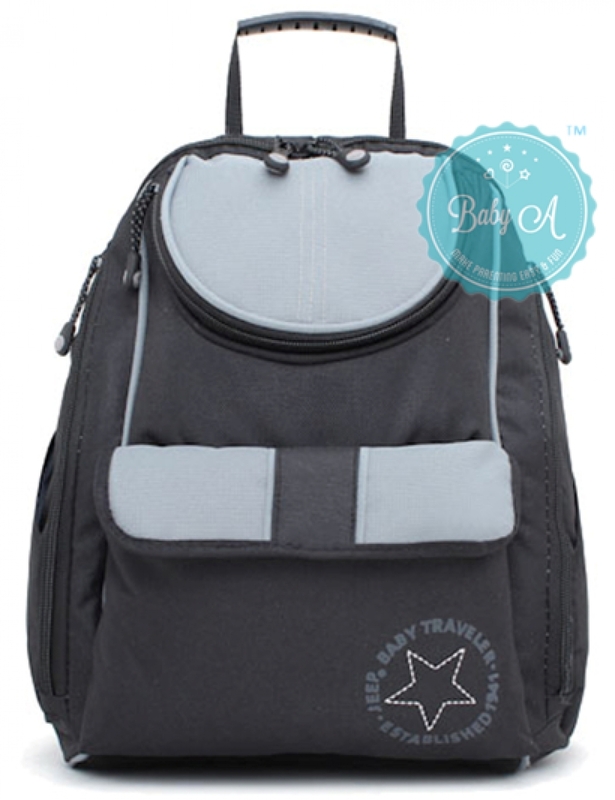 FIND IT FAST: Convenient inner pockets are perfect for keeping everything organized - so helpful when baby is crying! Plus, struggle-free zipper pulls make pockets easy to access.